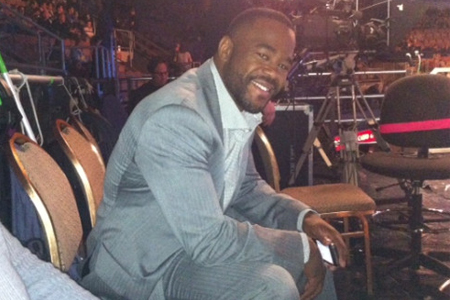 Forget about the complicated X’s and O’s that tend to come out of Greg Jackson’s famed academy, Rashad Evans (Pictured) believes it will be all about dropping vicious blows when he challenges light heavyweight king Jon Jones at UFC 145. “I know I will beat Jon Jones,” Evans matter-of-factly stated. “He can talk about improvements he’s made, but there are still some things in his game he can never change. He’s a long, rangy fighter and I’m going to get inside, unleash my stuff, take him down and ground-and-pound him. Although Evans left Jackson’s team over a year believing they favored Jones over him, “Suga” was in Albuquerque, New Mexico long enough to learn the ins and outs of the gym and its philosophies. While his split with Jackson was far from amicable, Evans has since joined the Blackzilians and believes his new squad provides the breath of fresh air needed to lead him back down championship lane. “I know all about [Jones], all about his coaches and all about his camp,” Evans expressed. “I could probably tell you what he’s doing in the gym right now. He’s in the exact same environment doing the exact same things with the exact same people. But I’m in a different environment, I knew I had to learn, had to mix things up and I had to change. Jon has no idea what I will do on the night. The archenemies will have the opportunity to settle their difference April 21st inside Philips Arena in Atlanta, Georgia.